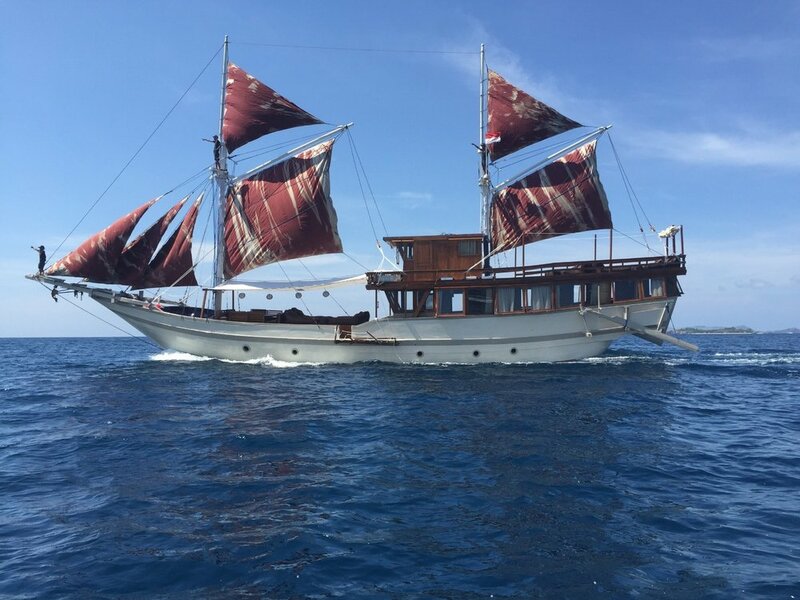 Nyaman is a phinisi-style yacht that was built in 2014 and fully refitted in 2017. This contemporary yacht was constructed by Indonesian boat builder Adi Baso and designed by French architect Stephan Remini ahead of her recent relaunch. Nyaman combines Indonesian tradition and authenticity with modern comfort, offering a relaxed atmosphere and plenty of space for groups of up to 14 guests. 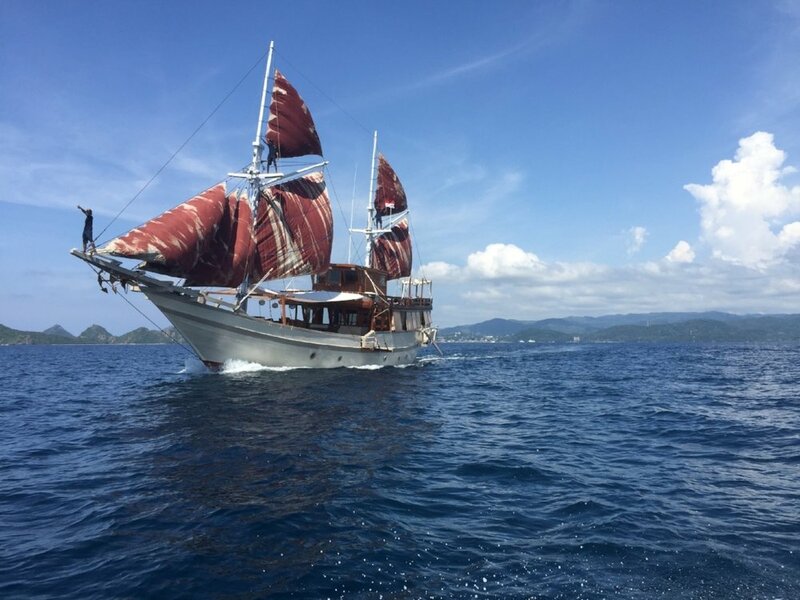 She sails among the spectacular islands of Komodo National Park, taking in the fierce endemic dragons of Rinca, the scenic grassy peaks of Padar and the prolific coral reefs of the Komodo strait. A crew of 8 includes a cruise director and a private chef. Dive instructors and spa therapists are available on request. 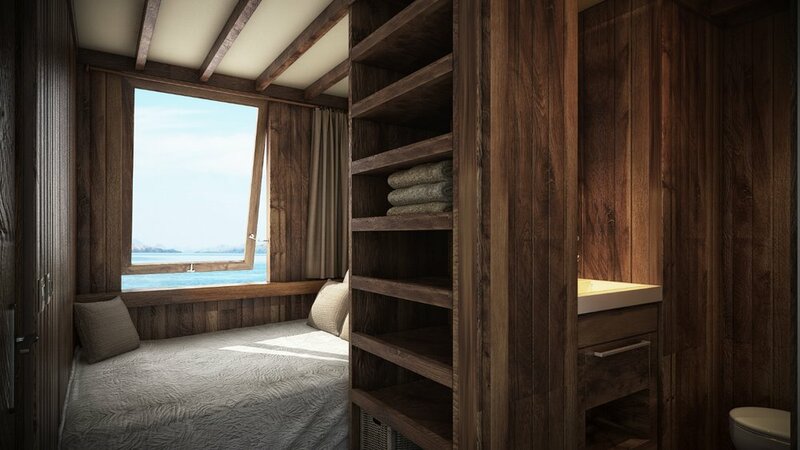 The 7 air-conditioned double cabins are crafted from fine Indonesian teak and the interiors encourage generous space and ample natural light. Each room has a private bathroom with a hot water shower. 4 cabins are located on the main deck, 2 cabins are on the lower deck and 1 cabin is situated on the upper deck, revealing panoramic views through large windows. Outside, two open decks function as spacious living areas. Numerous comfortable sunbeds invite guests to relax, have a drink, soak up the sun or just sit back and enjoy the cruise with beautiful vistas of the archipelago, its reef and surrounding islands. 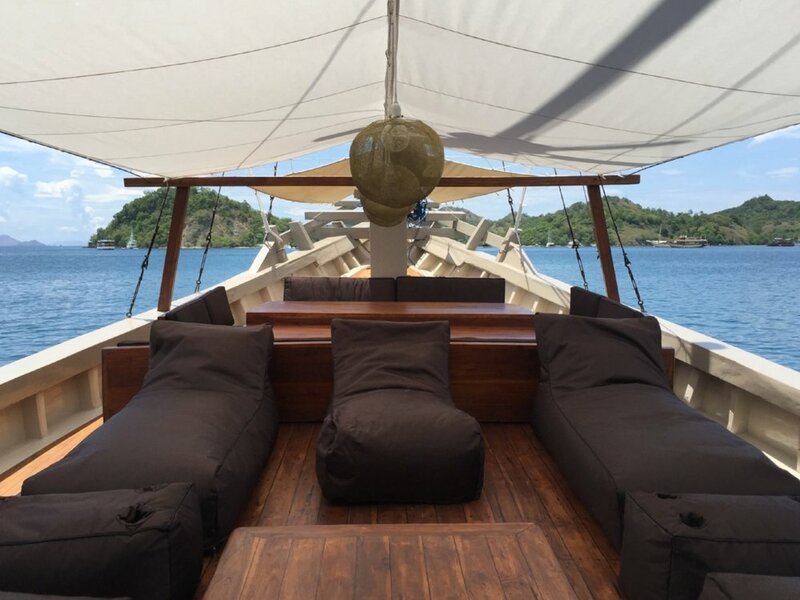 The main deck has a large outside dining table, where guests can indulge in traditional Indonesian as well as quality western food, cooked by the knowledgeable chef. Onboard facilities include air-conditioning, snorkelling, fishing and spearfishing equipment, kayaks and waterskis. Nyaman was built in 2014 (refurbished in 2017) and spans 32m with a beam of 6.7m. 7 double cabins accommodate up to 14 guests. She cruises at a maximum speed of 10 knots.